It has turned into sweat shirt and jacket weather up here in northern Minnesota. After what seemed like a very short summer, Fall is here and we are busy scrambling to get the garden and other projects done before we have to dig out the snow pants. River fishing has picked up, although the cold front that came through a few days ago has slowed the bite. I’ve heard some minnows have been in the river for a week and the fish should be right behind them. Baudette has just completed a broadband project thanks to a Blandin Foundation grant and there were some Blandin folks here on Tuesday to help celebrate the projects that were done. 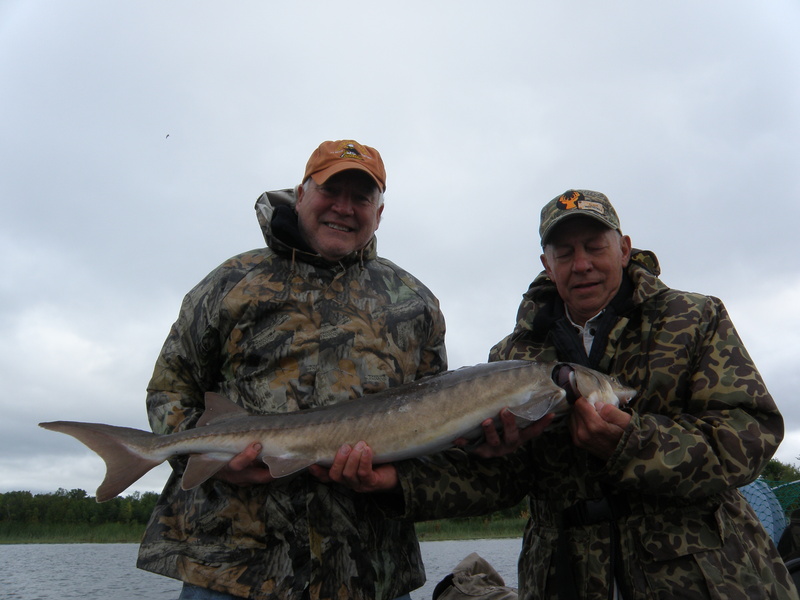 Karl, a Blandin consultant, came a little early for a morning of fishing. He would have liked to put a tag on one like he did last summer having to fish for only two hours to do it. It didn’t quite work that way this time, but he did catch one 42″ and fought another for awhile before it broke his line. Getting one between 45″ and 50″ can be a little difficult. Ralph and I were fishing for walleyes and caught nothing to keep. It’ll get better.